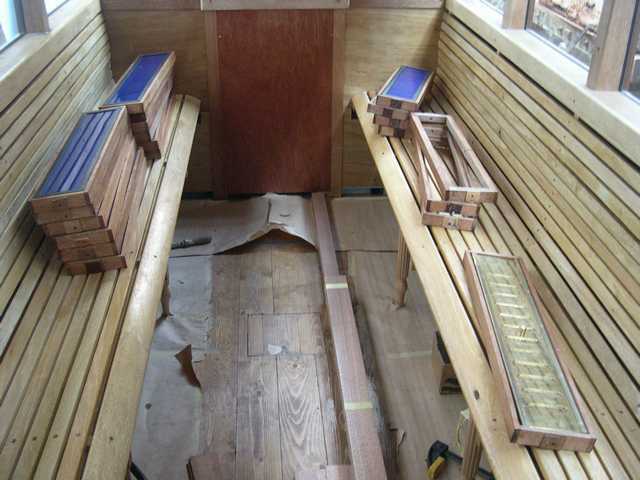 Welcome to the web page keeping you up to date with progress on building the new carriages. 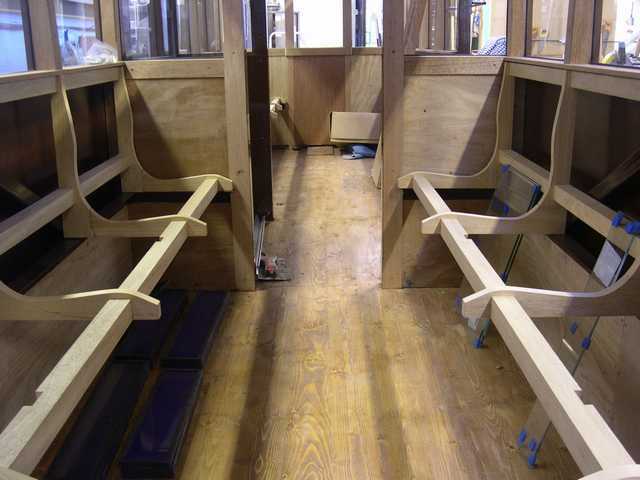 Carriage 24 is the last of the four coaches that we are building at the current time. 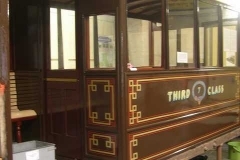 Before we look at the work being carried out on number 24 it is perhaps worth looking back to the humble beginnings of the carriage programme. 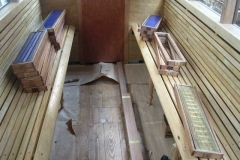 The first discussions regarding new carriages took place in 1996 when it was decided that we had the skills and the enthusiasm to “have a go”. 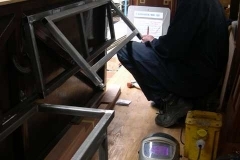 In order to build a replica carriage we had to have all the correct information and we were extremely fortunate that the Tal-y-llyn Railway not only had an ex Corris carriage, which they had beautifully restored, but they were willing to let us visit their works at Pendre and carry out a full dimensional survey. 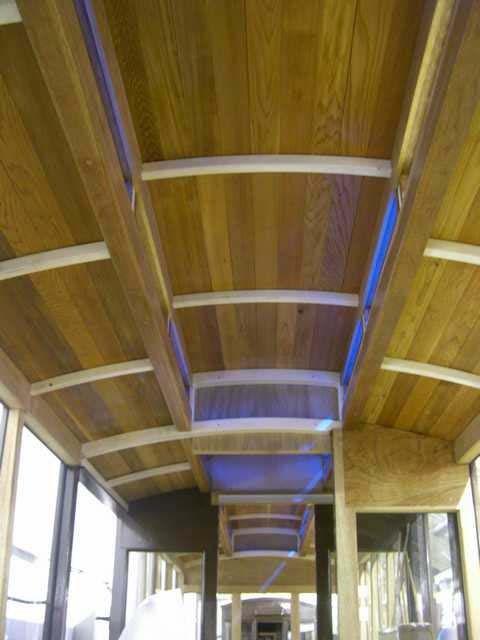 We were always conscious that whatever we built had to comply with current legislation and safety standards and as such the Tal-y-llyn coach did not although as a heritage vehicle with grandfather rights it did not need to. 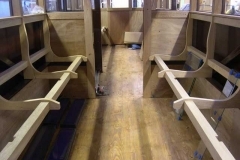 However, the chassis of a Tal-y-llyn “standard” bogie carriage did comply and a further touch of authenticity was the fact that they were originally designed by Alan Meaden, the Secretary in the formative years of the Corris Railway Society. We approached the TR to see if they would allow us to adapt the chassis drawings for our purposes and they very kindly agreed. 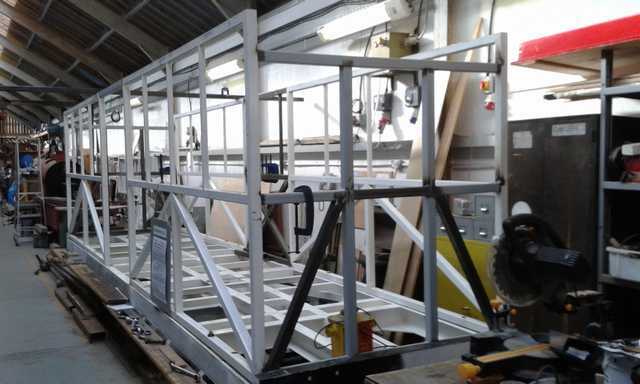 The drawings were therefore copied before being modified to suit our purposes by reducing the overall length. The next item we had to resolve was the design of the bodywork which had to be strengthened to maintain its integrity in the event of a crash. 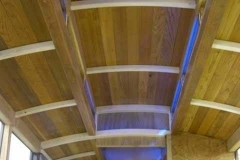 So a design was evolved whereby the carriage had a metal body frame constructed of 50 x 50 steel box sections covered in marine ply to create the “old” look yet still be compliant with Regulations. 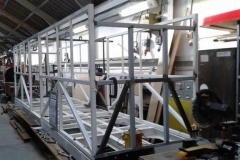 The design was approved by our Structural Engineer and submitted to the Railway Inspectorate for their approval, which was granted prior to construction beginning. One more slice of luck was to come our way when the TR asked us if we wanted the bogies from their Corris carriage as they were carrying out a programme of standardising bogies throughout their fleet, an offer we gratefully accepted. So we had the drawings, the necessary approval and the desire to build our first bogie carriage which would become Number 21. Thanks to the kind offer made by a member we also had premises we could build it. This took place over the next two or three years on Monday evenings and Saturday mornings and included copious amounts of fish and chips being devoured. 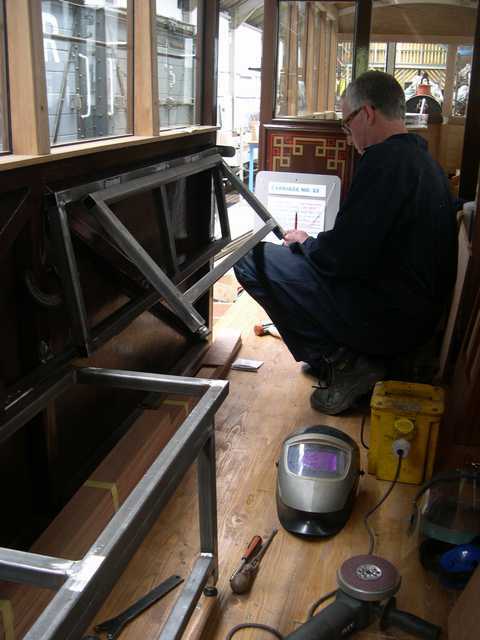 The aim was to get the carriage as near finished as possible and take it to Maespoeth in time for the official re-opening of the railway in 2003. This was achieved and the vehicle was loaded onto a lorry not without a few headaches owing to tight clearances – and transported to Maespoeth. 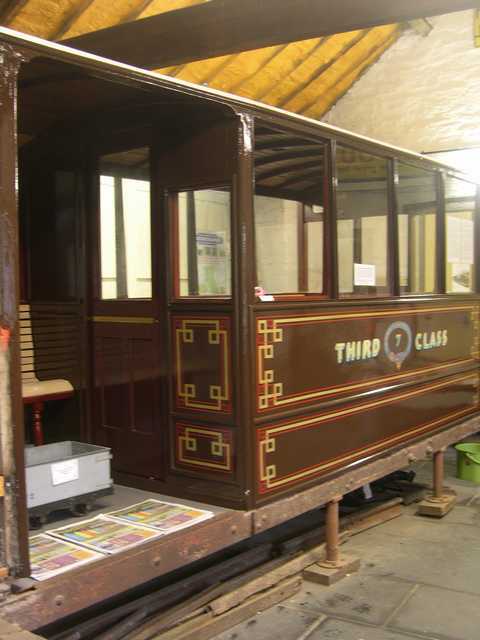 The carriage became a work in progress once at Maespoeth and probably still is not 100% finished to this day as it has always been needed in service!